A 38 year old single heterosexual female, sans husband, sets off on an adoption journey, hoping to become mother to an Ethiopian infant. All relevant topics may be discussed, such as international adoption, attachment parenting, transracial adoption, etc. Well, I don't time the cuteness. It happens when it happens. This is how cute she is all the time, I just rarely get to catch it on video. But the time I pull the camera out, the moment has passed. This time I caught a lot of it. A benefit from having a video camera in one's phone. I guess it hasn't been THAT long, but Charlie has learned many, many new things so I thought I better update before I get behind. The BIGGEST news is that on Mother's Day, Charlie walked up to me, said "Potty, mama" and led me by the hand to the bathroom where she proceeded to POO AND PEE IN THE POTTY!!!! And she has done so almost everyday since then. She is pulling her undies up and down 20 times in a row during the potty experience and I swear this kid is ready for Pull-Ups at age 19 months! Genius, I swear. 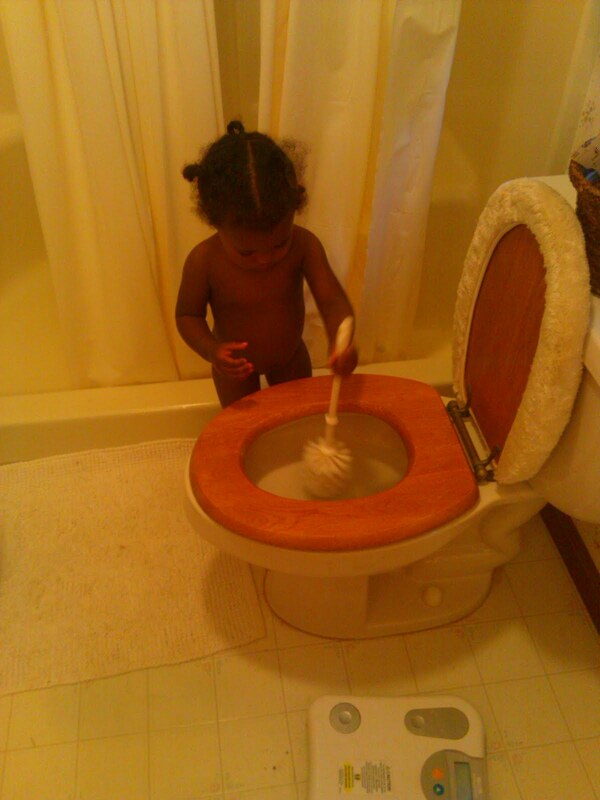 Then tonight, after she pottied, I went to empty the potty and clean it. When I got back, she had pulled the door stop up to the sink to use as a step stool and was putting baby toothpaste on her baby toothbrush and trying to reach the water tap. Which she couldn't reach. Am I naive to be stunned??? Another example of her genius: Last night, while watching some cartoon, Charlie broke into song and dance. She knew the words to "Twinkle, Twinkle Little Star" even though I've never taught her those lyrics. (Don't even know them all myself... err....) Ok, so she learned them in daycare. Still, it's impressive isn't it? That she would recognize the song and remember the words? So of course I had to get it on tape. And of course, the BEST characteristic Charlie owns is that of an industrious child laborer. Ok, that's not really funny. But this picture is. 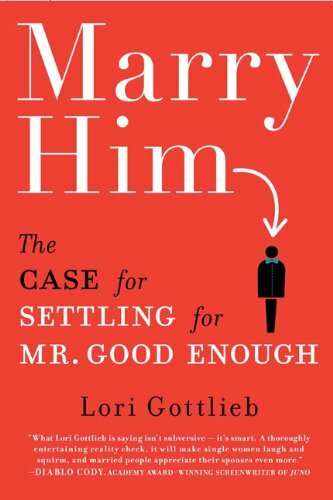 My aunt sent me the book "Marry Him: The Case for Settling for Mr. Good Enough" and I'm a few chapters in. The book has created a firestorm of controvery and Ms. Gottlieb has been on several talk shows defending her position. The truth may set you free, but to be honest, it's depressing me. Here's why: It's actually a realistic look at finding a partner after 35 years old... She' not saying to "settle" as we know it, but to accept certain flaws because we too are flawed. To lessen our list of "must haves" and look for a "good husband" rather than "Prince Charming". That all sounds sane and I can agree with all of that. "Having a child in the house changes the specifics - you're never alone and in fact, you desperately crave some solitude - but the longing for an adult partner remains. 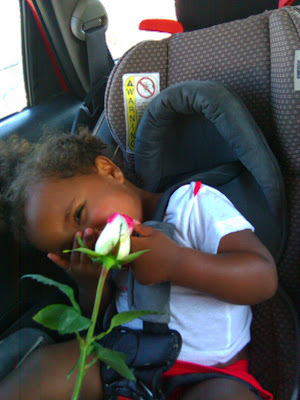 When I decided to have a child, it had nothing to do with staving off loneliness. It had to do with hoping to find The One without the time pressure of a biological clock. If I was aware enough to know that a child would be no cure-all for a lack of male companionship, I truly believed, in an astoundingly naive way, that I could simply do things backward: child first, soul mate later. But as hard as it was to meet The One before I became a parent, I hadn't anticipated that once you have a baby alone, not only do you age about tn years in the first ten months, but if you don't have time to shower, eat, urinate in a timely manner, or even leave the house except for work, where you spend every waking moment that your child is at day care, there's very little chance that a man - much less The One - is going to knock on your door and join that party." I've join Eharmony and over the past two weekends sent the first communication out to over 40 men, and gotten 2 responses. That's fine. I only need one husband. But the numbers have definitely changed from when I was 20 and there were 200 unsolicited overtures in my mailbox. I think I have also been naive to think a man would want to join my party... My family thinks it's possible, because they know me and think I'm wonderful. (Thanks family!) But a man would have to be partially insane to willingly jump in my boat, I think. I saw this over the weekend when I brought Charlie and 2 dogs out to eat with a friend and her autistic son. It was a circus. The dogs escaped, the autistic son shrieked, Charlie flung tacos on the floor for the dogs to eat, I got wrapped up in leashes.... Several men walked by and chuckled, but didn't stop to chat, even though my friend made several opening remarks that could have been taken as invitations. I'm not giving up. After all, I've already paid for 3 months and I'm nothing if not frugal. I would never waste that amount of money. But my sunny optimism has seriously clouded over. Gottlieb has burst my "Prince Charming" bubble. Maybe that's a good thing. We'll see. Another thing I've noticed about this getting older thing, other than some wrinkles appearing and the diminishing ability to read signs in the distance, is some craziness going on with my eyebrows. I thought the hair growth thing only happened to men. Huh. Does this happened to you in the mornings? What are some other signs of age I've got to look forward to? A mother’s worst enemy. And best friend. What? Doesn't your kid say that? 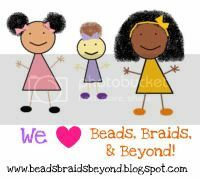 Awesome hair site. One day, I will be able to do these styles too! SAMOROST 1: Several levels of click and point play. Very fun. SAMOROST 2: Even funner especially the end! Click on your choices, end up who knows where! How long has it been so far? The total wait from signing of contract to babe in arms took 6 months and 1 week.